New courses available from 24-7 EMS! We’ve expanded the 24-7 EMS library with six new continuing education courses. Ebola is a rare and deadly disease that is caused by infection with one of the Ebola virus strains, and there have been several cases in the United States. Transmission occurs through bodily fluids, which makes EMS providers vulnerable. This program will help EMS providers identify the signs, symptoms, and patient history of the Ebola Virus Disease; describe the necessary personal protective equipment (PPE) to be used and methods for proper PPE removal; explain the procedures used to clean and disinfect transport vehicles; and will specify follow-up procedures that EMS providers should follow when caring for a patient who has signs, symptoms, and patient history consistent with the Ebola Virus Disease. Course subject matter expert: Jeffrey Lindsey, PhD, CFO, Paramedic. Coordinator/Lecturer for the University of Florida Fire and Emergency Service bachelor and master degree program, and Chief Learning Officer for the Health & Safety Institute. 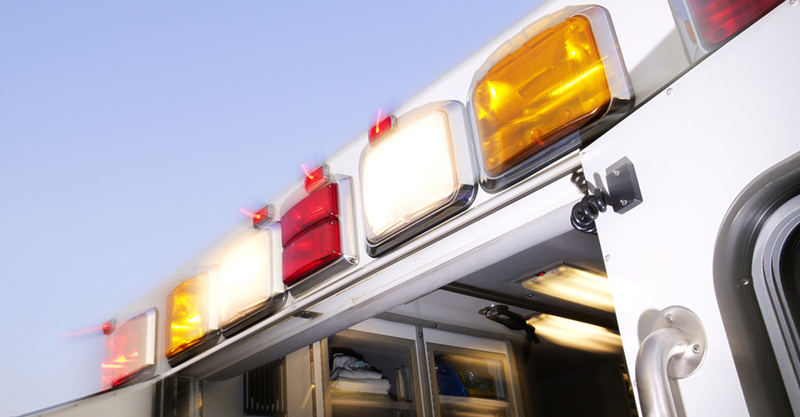 EMS providers often feel helpless when responding to calls concerning abdominal injuries. There is a pervasive belief that, if abdominal pain is treated in a prehospital setting, the doctors won’t be able to adequately assess the patient in the hospital environment. Studies have shown that when EMS responders provide initial assessment and pain management it can actually serve to make in-hospital assessment more accurate. This program examines some common causes of abdominal pain, prehospital diagnosis, and treatment options and alternatives for EMS providers. Course subject matter expert: Matthew Ozanich, MS, Paramedic. Adjunct faculty member at Youngstown State University in the EMS Program, Police Academy, and Allied Health department. Workplace stress is an increasing concern for emergency service responders. When a person is experiencing acute stress, the body reacts as though a threat to survival exists, and the effects of unrelieved or chronic stress can result in a serious risk of developing life-threatening diseases. Both employers and staff who provide emergency services can benefit from learning about the factors that contribute to workplace stress and possible negative implications for job performance and personal health. Course subject matter expert: Tim W. Dietz, MA, LPC. CEO of Behavioral Wellness Resources, and author of the “Scenes of Compassion. A Responder’s Guide for Dealing with Emergency Scene Emotional Crisis”. While shock is frequently encountered by EMS providers, the underlying mechanisms of shock are not often well understood. By understanding what is happening to the body during shock, EMS providers can identify subtle signs and symptoms of shock earlier in the assessment process, quickly determine the type of shock, and administer the appropriate treatment, which can ultimately help save lives. This program reviews the pathophysiology of a poor perfusion state, describes the etiologies and types of shock, reviews the signs and symptoms of shock, explains how to assess the shock patient and differentiate types of shock, and explains how EMS responders can provide the most effective emergency treatment. Course subject matter expert: Joseph J. Mistovich, M.Ed., NREMT-P. Chairperson and Professor, Department of Health Professions, Bitone College of Health and Human Services, Youngstown State University in Youngstown, OH. For EMS responders, back injuries are the most common injuries experienced in the line of duty. These injuries, in addition to being painful, can lead to extended time away from work, and sometimes mean the end of an EMS career. To help reduce the risk for back injury, this course reviews the basic structures of the back that commonly sustain injury, the mechanics of safe lifting, and the steps to follow to coordinate a lift safely. Fever is one of the most common reasons families seek emergency care for their children. This is primarily because a large body of transcultural misinformation has created a fear commonly referred to as fever phobia, wherein fever is misunderstood as more dangerous than it really is. Another common cause of anxiety among both families and emergency care providers is pediatric seizures. Pediatric seizures are usually benign, but in some instances have the potential to lead to short and/or long term complications. This program provides the most up-to-date truths about fever in children, and an overview of the causes of and prehospital treatment for pediatric seizures. Course subject matter expert: Lou E. Romig MD, FAAP, FACEP. Pediatric Emergency Physician, Emergency Center at All Children’s Hospital/Johns Hopkins Medicine, St. Petersburg, FL. She is also the inventor of the JumpSTART Pediatric Field Multicasualty Triage Tool. Login to the Otis LMS to stream your online courses today, or place your DVD orders!